Want to quickly see how the open-source software mojoPortal works? You'll find a free and updated demo installation of mojoPortal here. We are currently updating the mojoPortal demo. Please check back shortly. There will be a new version up soon. 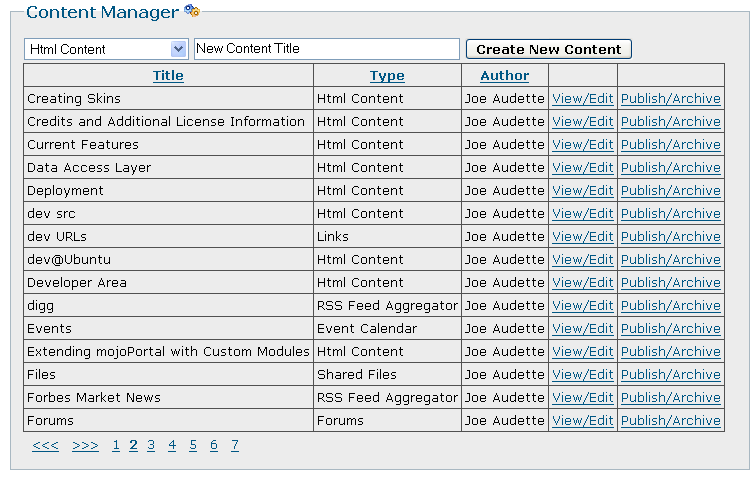 mojoPortal CMS is a free open source content management system developed using C# as a programming language. It was first published in 2004 and since then it has won the Packt Open Source Content Management System Award in 2007 for its ease of use and abundance of features that made it stand out from the rest. Some examples of core features include forums, photo galleries, ecommerce and event calendars, but mojoPortal features can also be extended through plugins and add-ons. It also shows website statistics, like who’s online and comes with Social Media API integration. As a project, it has great documentation so you can pretty much do anything with it. 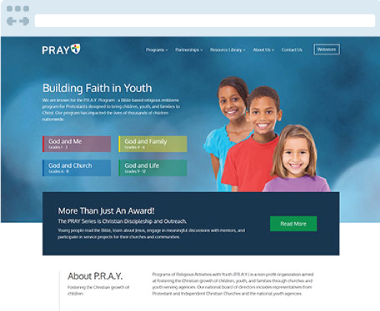 You can download it with themes that have a responsive design, or you can change the appearance of your demo site by creating your own themes. If you want to get a complete review of this content management system you can check out their official website for a mojoPortal demo. 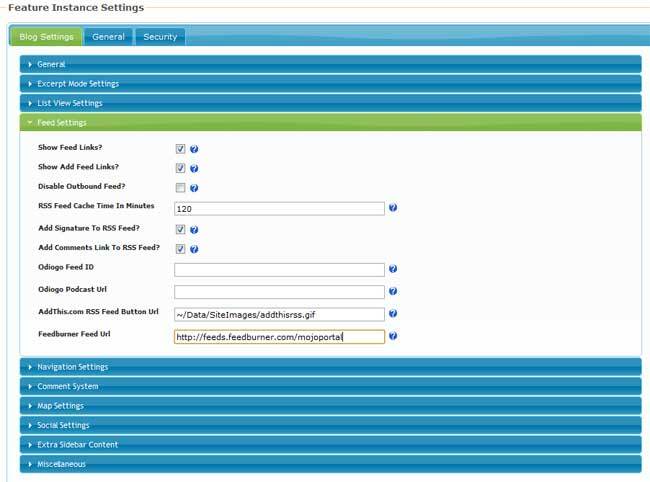 The admin demo will give you a better understanding of all its features and how easy it is to customize the frontend of your online demo. The screenshots below will give you a preview of what you can do with a mojoPortal demo and how the admin demo looks like. 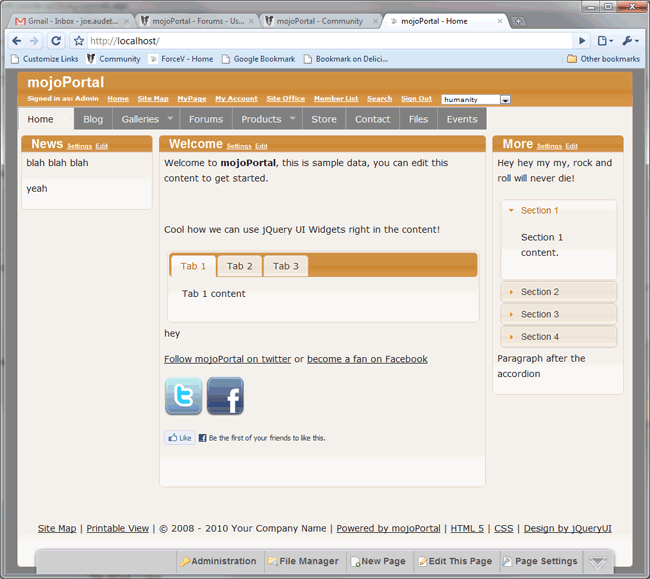 If you want to set up your own mojoPortal demo you can download it using the link below. The latest version available for download is 2.6.0 and was last updated on October 3, 2017.